해외에서도 마음껏 요금 걱정 없이 baro로 통화하세요! 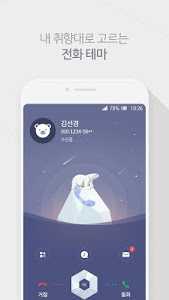 Wi-fi 또는 로밍 요금제 가입시 무제한으로 국내와 무료 통화할 수 있습니다. 더 예쁘고 재미있게 고화질 영상통화를 즐겨보세요. 보이스 피싱, 광고전화를 받기 전에 누구인지 알고 예방할 수 있는 편리함! 더치트 서비스와의 제휴를 통해 중고거래 시 사기피해 신고정보도 제공합니다. 연락처에서 이름만 검색하면 저장하지 않은 번호들도 다 찾아 드립니다. 전화는 했는데 중요한 내용이 기억 안 나시나요? 모든 통화내용을 자동으로 녹음하여 통화를 안전하게 지켜드립니다. * 통화 자동 녹음 기능은 SKT 선탑재 단말에 최적화 되어 있으며 그 외 단말의 경우, 기능 동작에 제한이 있을 수 있습니다. 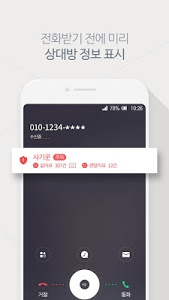 T전화 화면을 좋아하는 이미지(테마)로 설정해보세요. 다양한 디자인 테마와 컬러 테마 등으로 나만의 T전화를 디자인 할 수 있습니다. ※ 선택적 접근권한의 허용에 동의하지 않아도 서비스의 이용이 가능하나, 해당 권한이 필요한 기능은 제공이 제한될 수 있습니다. 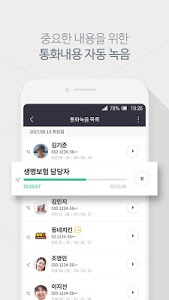 ※ 앱이 Android 6.0 이상을 대상으로 제작되었으므로 6.0 미만 단말기를 사용할 경우 접근권한 선택적 동의/철회가 불가합니다. 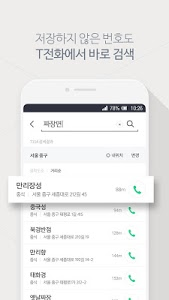 단말기 제조사 문의 후 Android 6.0 이상 업그레이드를 권고 드립니다. 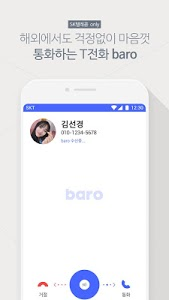 Call baro without worrying about the charge freely from overseas! You can make free calls to your home country with unlimited Wi-fi or roaming rates. Enjoy high-definition video calls with smarter and more fun. Beauty filters and AR items that are not afraid of solving are fun! Voice phishing, the convenience of knowing who you are before you get an ad call! Through our partnership with The Chet Service, we also provide fraud reports on used transactions. If you search by name only in Contacts, you will also find numbers that you have not saved. Just save your friend number on your phone! I did a phone call but did not remember anything important? 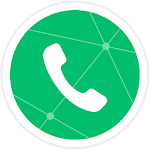 All calls are automatically recorded to keep your calls safe. 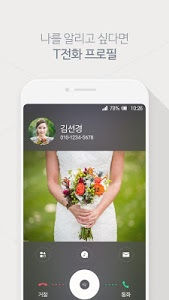 * Call recording function is optimized for SKT-equipped handsets. In case of other handsets, there may be restrictions on function operation. T Set your phone screen to your favorite image (theme). 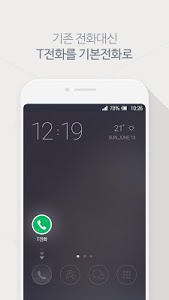 Design your own T-phone with a variety of design themes and color themes. ※ You may use the service even if you do not accept the permission of the optional access right, but the provision of the function that requires the right may be restricted. ※ Since the app is designed for Android 6.0 or later, it is not possible to selectively approve / withdraw access rights when using a device less than 6.0. We recommend that you upgrade to Android 6.0 or later after consulting your device manufacturer. 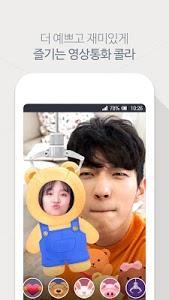 T전화 프리로밍이 'baro'로 새롭게 태어났습니다. Similar to "T전화 - 스팸차단, 녹음, 콜라 영상통화, 전화번호 검색, 로밍, baro"